We continue to develop the website so please check back often. The Society has been featured in the lastest edition of 8th AF News magazine. 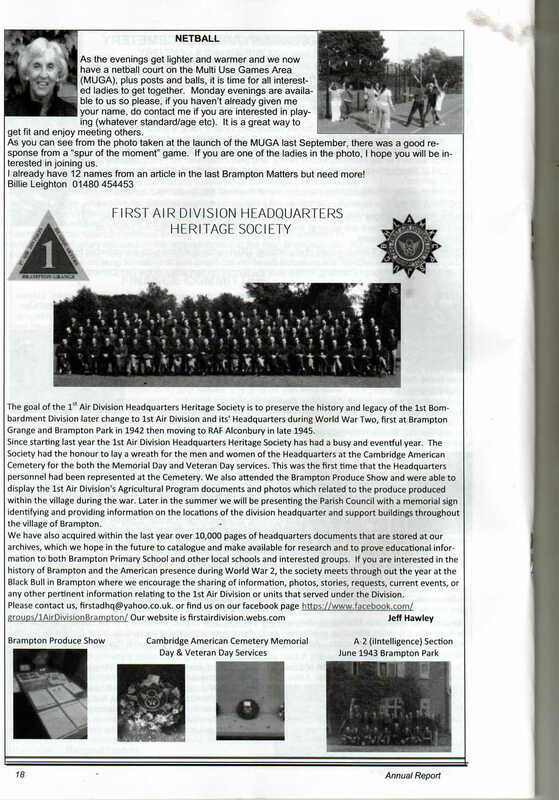 The magazine is the voice of the 8th Air Force Historical Society. Don't forget we are having our spring meeting tomorrow! The laptop will be used at the archives for people researching the history of the 1st Air Division Headquarters and the men and women that served there. We will also use it at future roadshows and talks. Thanks to the members of the FOTE for allowing us to speak on Saturday. Hopefully new information was provided to those that attended. Looking forward to our next invite. After weeks of moving boxes,cabinets and the lot, the 1stADHHS Archives are getting back in shape. We currently have one rack within the Air Field Research Group archives. I added to our educational section today original back issues of The War Illustrated, December 1939- January 1941. 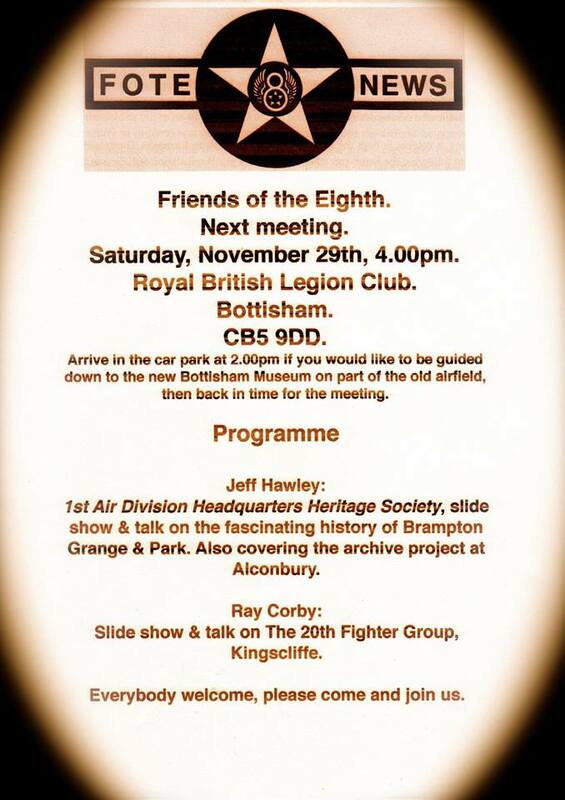 I am planning our next meeting within the next couple of months to talk about the Society progress and for people to have a chance to view the archives. Copies of the archive documents that we hold on computer are also available for review. We just need advance notice for viewing. The Society was asked by the Brampton Parish Council to provide information about the Society and an update of our progress within the community for their annual report they provide to the parish. Just received my copy yesterday and we were given 3/4th of a page! The annual report is sent to every household in the parish , which is around 5,000 homes. I'm hopeful that we can raise awareness in the parish of the activities and history of the Headquarters. It has come to my attention that anyone trying to open photos in the gallery with an Apple smartphone or IPad were met with a black screen. I believe I have fixed this problem now. The Society received a great new addition to the archives. In the front cover the owner of the pamphlet wrote down his journey from the USA to England via Scotland on board the Queen Elizabeth in January 1945. We hope to use this in our education program.